* Always build extra engineers. You will never known when you�ll lose one during a frenetic gun battle in the front lines. A quick replacement to a fallen engineer will be a great strategy. * Always build a halftrack whenever you can. A halftrack that has a quad cannon can easily kill infantry and your squads can regroup and reinforce itself near one. * Micromanage your Shermans when it is under fire from serious threats like AT guns, panzers, among other. Also try to use smokescreens as it will aid your Shermans. Remember that a Sherman cannot go head to head with a Panzer unless it is supported by engineers or bazooka carrying infantry. How to deal with enemies in F.E.A.R. F.E.A.R. 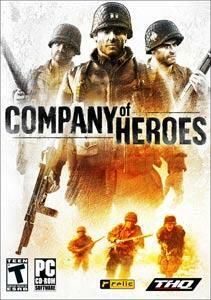 is one of the most atmospheric first person shooters to come out in years. There�s no question that the graphics and physics is one of the best too. It can actually compete head to head with such recent eye poppers like Half Life 2, Doom 3 and Far Cry. What makes the difference though is that F.E.A.R.�s mix of both action and horror makes for one of the most frenetic and exciting shootfests in recent memory.But do not let the jaw dropping graphics or the creepy atmosphere distract you from convincingly fragging the bad guys. Here is one tip. 1. Soldiers usually come in groups of 3 to 5 but the average would be from between 8 and 9. That is quite a lot to contend with for just one man. Fortunately, you can always use SlowMo. Using this with dexterity is one of the key points of being successful in the game. Known when you should use it and when you should not. The key is to only use it during extreme situations like when mechs and heavies appear. You can also employ the SlowMo when you are being backed into a corner and you have no other way of getting out. The PC game that currently has my undivided attention the past few months is Elder Scrolls IV: Oblivion. Being the RPG geek that I am, Oblivion really delivers the goods in giving me the fix that I need.Of course one of the things that really gets annoying in RPGs is that you would eventually get so much loot that you can�t carry them! Well in Oblivion you can actually use your horse to solve the problem! To do this you must first complete the Dark Brotherhood quests until you receive Shadowmare as your reward. It is special because it cannot be killed only made unconscious. Now knock Shadowmare unconscious. When he drops you are given the option to access his body through the spacebar. Open him and dump your extra gear into him. Shadowmare will regain �consciousness� in a few seconds. Now whenever you need to see your gear you just need to knock Shadowmare unconscious again. The great thing is that there seems to be no weight limit to what he can hold and all of the items remain forever.